Attention displaced bookworms! 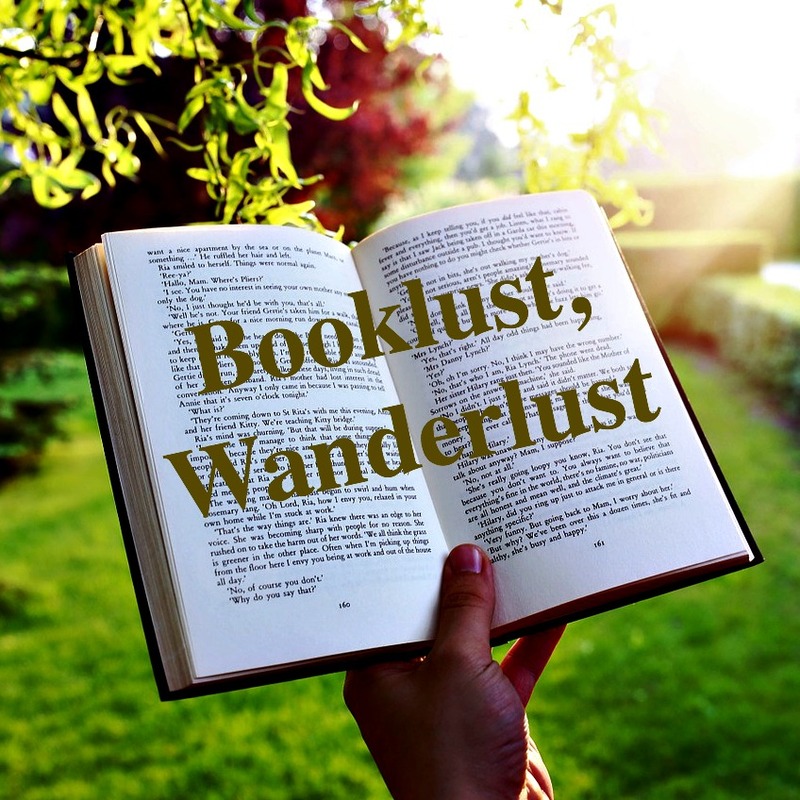 Our book review columnist, Beth Green, an American expat in Prague (she is also an Adult Third Culture Kid), is back with several recommended reads! This week is Thanksgiving in the USA. Many Americans abroad skip this holiday for one reason or another—one main reason being the cost of frozen turkey (a friend in Thailand recently posted a picture of one selling for $200 at the expat grocery store!). But I always try to do something a little bit special. The way I see it, there can never be enough occasions to sit down with friends to a table full of good food! In addition to planning for Thanksgiving and the holiday season, I’ve been cruising through the rest of my 2015 To-Be-Read list. This month, I’ve been feasting, so to speak, on three books by current or former expats who write fiction set against international landscapes. Two of them are first-time novels and the other is a thriller. One came out with a small press, and the other two are self-pubbed. Take a look! A first novel about expats in late 1980s Berlin, written by a former Fulbright fellow who has written poems and short stories about her travels? Sounds like a perfect choice for the Displaced Nation! Paula Closson Buck directs the creative writing program at Bucknell University in Pennsylvania, and is currently at work on a novel set in Venice—keep your eyes open for a review of that book, too, when it publishes. Summer on the Cold War Planet tells the story of Lyddie, a young American woman who is living in Berlin a few years before reunification and studying architecture. She encounters a trio of German artists/activists and also meets her future husband, an American botanist named Phelps. Most of the action takes place, as the title suggests, the summer before the Berlin Wall falls. At that time, Phelps disappears while conducting botanical research in Kurdistan and so Lyddie, now pregnant, returns to Berlin to examine her feelings for the absent Phelps—and rediscover who she is. In the simple way the young East German at the border touched Lyddie’s face, tipping her chin this way and that as he scrutinized her features in relation to her passport, Lyddie felt she understood the meaning of Cold War. He returned her passport with a hint of a smirk and nodded her release. But, although I was transported to the intense atmosphere of 1989 Berlin, I often felt at arm’s length from Lyddie, I think because, especially in the flashback scenes, she seemed to be letting others make choices for her. Later, when the action shifts to the Cycladic Islands in Greece, Lyddie becomes more relatable. My favorite character in the novel, I’d like to add, is another point-of-view character, a Greek painter who learns to paint canvases underwater. A new thing to try next time I go scuba diving! This book also ticked two boxes for inclusion in this column—an expat author and an internationally relevant plot. Alexander McNabb is a former journalist who has lived abroad—mostly in the Middle East—for about 30 years. He is author of several other international thrillers, including the “Levant Cycle” books, all three of which were featured on the Displaced Nation. The action of McNabb’s previous international thrillers centers on the Middle East, but he sets A Decent Bomber in Europe, mostly in Ireland. Now, I find it fun to read thrillers (“fun” in that kind of macabre sense), and this one has an enjoyable premise. A retired, reformed bomb-maker for the Irish Republican Army reluctantly agrees to build new bombs, this time for African terrorists—and then tries to save the day before his bombs explode. McNabb keeps the pacing tight, the action scenes believable, and the violence just on this side of gruesome. Lest you be put off by the idea of following the adventures of a lone cowboy (indeed, Pat is such a cowboy that he actually owns cows), I should mention that our hero is rarely alone. He is joined on the chase by his college-student niece along with a group of police officers and politicians from both the Republic of Ireland and Northern Ireland, all of whom provide moments of comic relief. As we know from the Displaced Nation’s previous encounters with McNabb, he has a sense of humo(u)r.
I included this book in this particular round-up because of the author’s international credentials, and because it has received 130+ five-star reviews on Amazon. Steven Moore is the man behind the visually stunning travel blog, Twenty First Century Nomad (he also has an author site). He has been working and traveling abroad for at least twenty years. He now lives in Mexico, and one suspects his adventures aren’t over yet! But, now, let’s burrow into the pages of Moore’s book, his first. Although the novel does have scenes both in the UK and in New York City, it is principally a coming-of-age story about a boy whose travels have to do with discovering his own conscience. I Have Lived Today takes place in the 1960s and follows the turbulent journey of Tristan Nancarrow, a boy so badly treated by his alcoholic father that he was never allowed to attend school. Tristan’s mother is forced to run for her life, and not long after, Tristan makes his escape from the isolated island where the family lives. He spends the bulk of the book trying to reunite with his mother—having plenty of adventures, along with his share of small triumphs and bitter tragedies, along the way. Tristan turned the pages delicately, as if he was looking at a priceless and ancient manuscript. To him it was an object of beauty, a treasure from a museum, and indeed the musty old store had a museum feel about it, or at least that’s how Tristan imagined a museum would seem, having never been to one. There are times in I Have Lived Today when the tone takes on a moralistic edge and the pacing becomes steady and unrushed in a manner reminiscent of a Grimm’s fairy tale (though, to be sure, without any witches or other supernatural beings). Our hero, Tristan, despite his father’s brutal abuse, remains an innocent who chooses to embrace a white-knight moral code even as the world shows him how cruel it can be. Through switches in point of view, Moore lets the reader peek into other characters’ motivations, but the focus is always on Tristan and his choice to reject his personal demons. This hero has resilience—the quality that we expats need—in spades. So, Displaced Nationers, if you’re lucky enough to have a few moments to yourself over Thanksgiving or before the holiday season gets into full swing, you might want to check out these three books. They’re as different as the sides at a potluck Thanksgiving, and no less delicious for that! p.s. And, since it’s Thanksgiving, may I say a hearty thank you to my readers! Please keep in touch and let me or ML know if you have any suggestions for books you’d like to see reviewed here! Last but not least, I urge you to sign up for the DISPLACED DISPATCH, which has at least one Recommended Read every week. What an interesting list! I absolutely love other expat writers. I think we have a unique way looking at the world which makes our writing unique. I’ll add these books to my to-read list. Thanks, Helena! I hope you enjoy reading them! And, please, if you run across a good book or an interesting writer, do let me know about it!